John Skipp’s Fungasm Press poised to release new audiobook version of HAUNT. Author,journo, filmmaker and horror legend John Skipp‘s literary imprint Fungasm Press just announced the release of their first deluxe audiobook and they’ve locked author/filmmaker and performer Laura Lee Bahr’s chilling book HAUNT as their guinea pig. 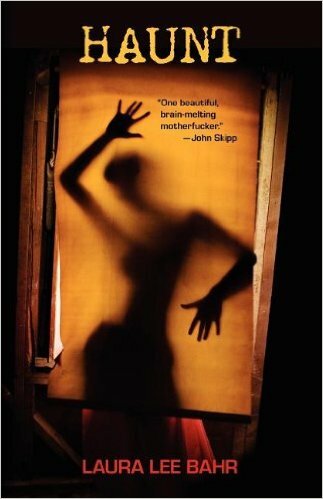 The story of a mysteriously murdered young woman and the men whose lives she taunts beyond death is described as a brain-twisting Bizarro noir hall of mirrors. And the audiobook, performed by Bahr and a talented team of actors, brings added dimensions to her evocative prose. Using gorgeous music, jarring fx, and cunning sound manipulation, it’s a lush and unusually engaging presentation. HAUNT is now out on Audible, iTunes and Amazon. Check it out!